2. Pump: Gear pump. Italy joystick (servo) pump, handle control for optional. 5. Quick hitch system makes fastening attachments quick and easy. 6. Width: 800mm. 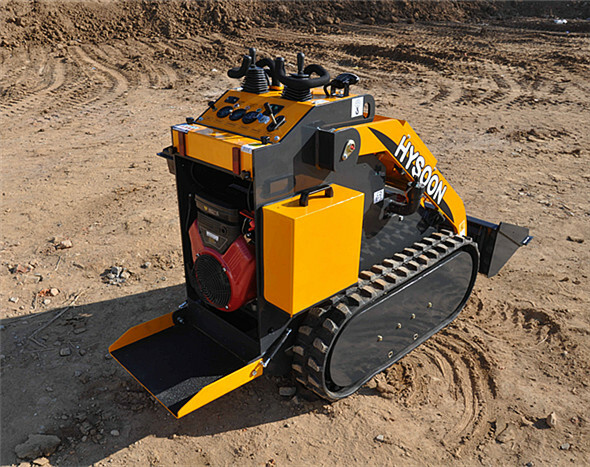 The design can let the loader into small space for working, even your indoor. 7. 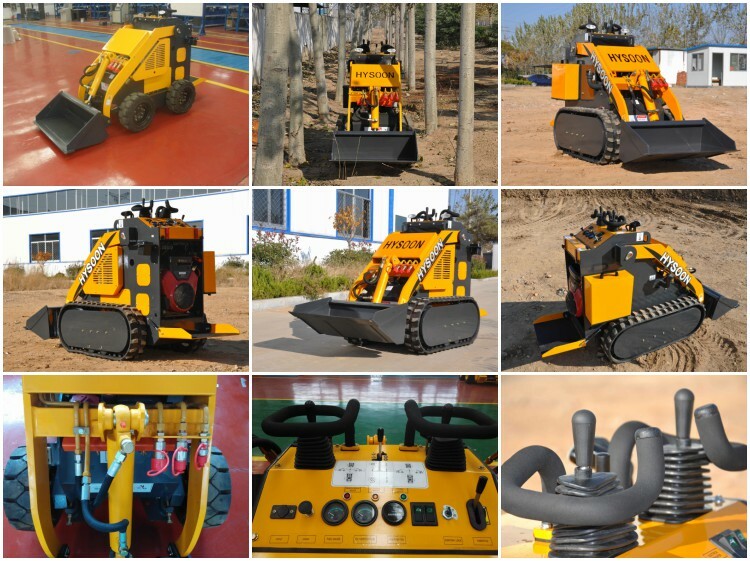 Track type can fit for muddy,soft and normal environment. 8. With folded back pedal plate, walk behind operating. 9. 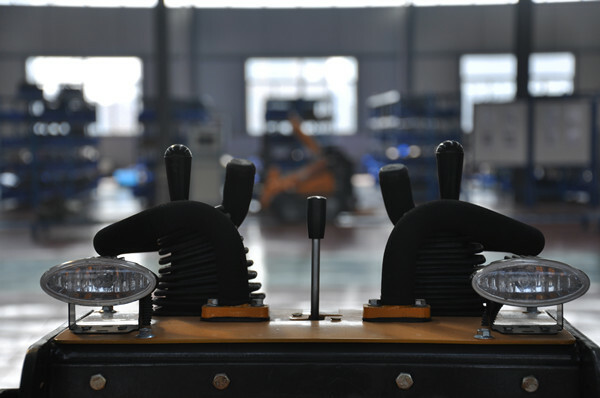 Hydraulic operating handles. Control walking, running, working arm, bucket. Operate comfortable. Also joystick handle can be chosen. 10. 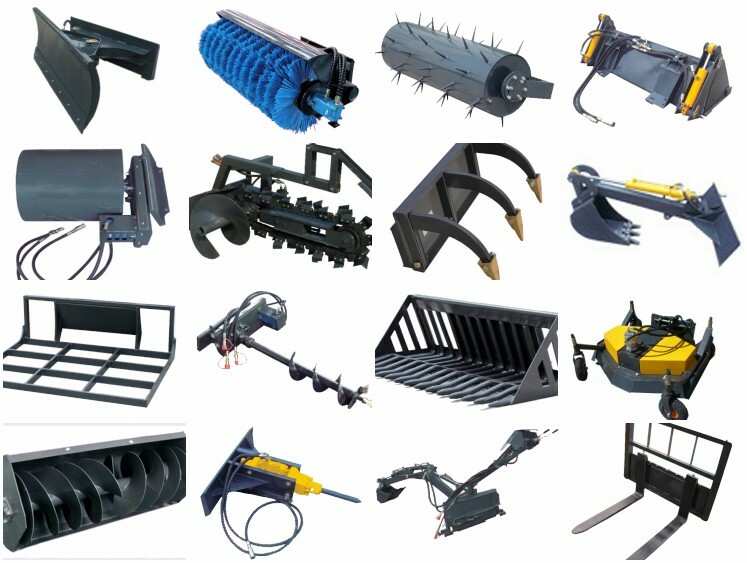 There are numerous Skid Steer Attachments such as bucket,the backhoe, hydraulic breaker, pallet forks, angle broom, sweeper, auger,lawn mower, snow blower, stump grinder, tree spade, trencher, dumping hopper, ripper, tillers, grapple , tilt, roller, snow blade, wheel saw,and so on, thus ensuring there is a tool for every job you can possibly imagine. If you can think of a job for the skid steer loader, chances are there is an attachment specific to that task.